* 2 photos * *By clicking on the image(s) you can see the larger version(s). Beautiful quality pictures, thank you for posting them. Your work is beyond stunning! Excellent photos T lbara. I love them all so much! I made a movie about kingfisher :). Thanks to follow my blog :). I wrote you a message on your contact form ;). These are not easy to get, good job! AAh so pretty! And how wonderful you got to see them!! Hello dear Takami! Sorry I am so late to the party—January has been a bit crazy but has finally settled down. 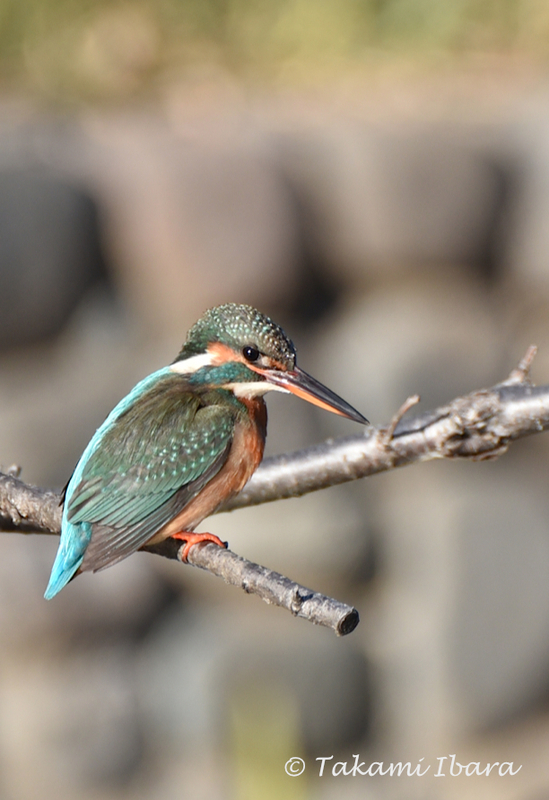 Your kingfisher photos are so beautiful! What spectacular iridescent blue colours on that stunning bird. We love both photos very much. I’d be so thrilled if this were my shot—neither of us has yet captured a great photo of kingfisher as they never seem to stay put for long. Wonderful shots, my friend. Did you shoot these with your fabulous new lens? Very nice work! congratulations on capturing this beauty, Takami! Kingfishers are exceedingly difficult to get closeups of! Thank you very much 🙂 I’m happy you enjoyed! I thought this was a hummingbird at first glance! Hello Inger, Happy New Year! Love this handsome little lad. What a jewel! Truly a beauty 🙂 Love it – I love birds too, I wish I could take their images, but I am afraid I have to wake up very early to capture their best shots – I do have problems waking up early 😀 – you did great in capturing this beauty! A stunning beauty you’ve captured! That bird is so beautiful! What an absolutely stunning little bird Takami, and you managed to capture it so clearly in the second of the two shots (though both are great) that I feel almost like I could reach right out and touch it. Just beautiful. I’m delighted you had a chance to stop by today. As you may already know, this bird is a kingfisher, and while I knew for some time that we had some ‘resident’ kingfishers living in our local pond, it was the first time I could see one with my own eyes. What a thrill it was, to see this beauty. I felt my hands shaking from pure joy (and excitement). It was the perfect way to start the new year, and I felt it was a good omen. To tell the truth, I didn’t know it was a Kingfisher, so thank-you very much for the identification. Sadly, after researching it, it appears unlikely that I will ever see one here in Canada, so I am even more grateful to you for your excellent captures that have allowed me to see something so closely that I might never have seen otherwise. A good omen indeed my friend. I agree – a little jewel! Happy New Year, Takami! 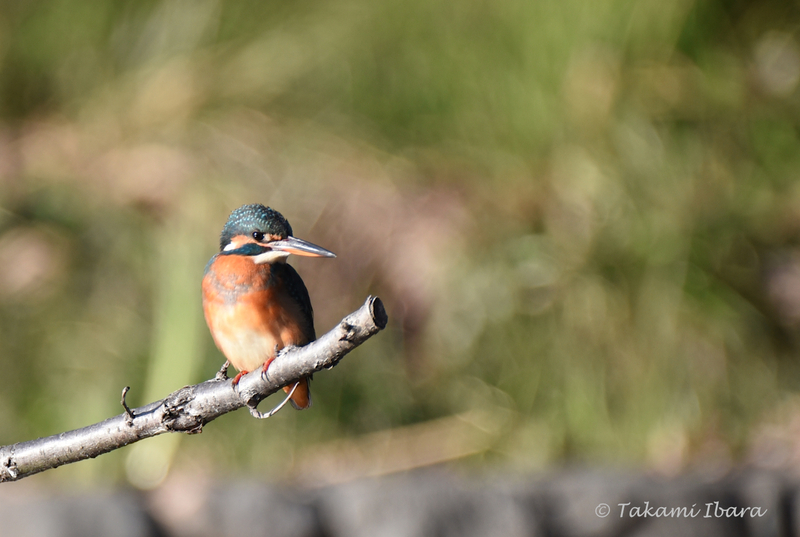 Takami, these two Kingfisher photos are so captivating and nice to look at. The bokeh on the second one is perfect! It is too beautiful this bird, beautifully photographed .. Thank you for sharing, dear Takami. Excellent use of the depth of field — with sharp focus on the subject and throwing the background into a soft blur. Nicely done. Thanks so much for stopping by. It was really exciting to try something different and try my hand a photographing birds in my local park. It was also my favourite time of day (between 3-4pm in the afternoon) and the sunlight was so beautiful. No doubt about it, you know how to use natural light! Thank you, dear Deb! I wasn’t aware of National (international?) Bird Day, so it was fun learning something new. This was a female Kingfisher. I knew there was a pair of resident kingfishers at our local park, but it was the first time to see one of them – a real beauty! – with my own eyes. It was the perfect way to begin the new year 🙂 Thinking of you, and all your furry friends too. Thank you, Takami! I just learned from another blogger that the 8th of January is always “national (international?) bird day.” 🙂 I didn’t know that! These kingfishers are exquisite. I’ve never seen one up close and personal before, but your photos make me feel as though I have. I’m so glad you got to see them in your park and take photos — what a wonderful way to start 2016! What a sharp, cute photograph! Love the shallow depth of field on the picture. Well done! As you know, I’m no bird expert, but I happened to know that this was a female Kingfisher. As she (and her partner) were residents of our local park. Hubby and I waited a long time to get a first glimpse (2 years!) and it was a perfect way to start the new year.